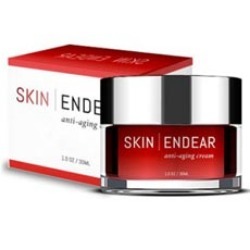 Skin Endear Anti-Aging Cream Review (2019): Is It Safe To Use? Skin Endear Anti-Aging Cream Review: Does It Really Work? 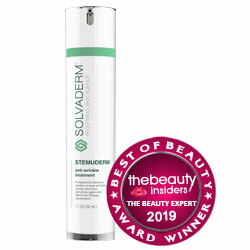 Formulated to fight visible signs of aging such as wrinkles, fine lines, and skin dullness. Skin Endear Anti-Aging Cream is welcome addition to one’s beauty routine. A 1 fluid oz container of the cream is sold online via a trial offer on its official website. The product must be returned within 14 days or the full price of $89.95 will be charged to the customer. Customers are also enrolled in an auto-refill program unless they opt out. Antioxidants: Obtained from vitamins and certain foods. Antioxidants reverse and prevent damage caused by free radicals and other environmental factors that cause aging. They’re also thought to protect against cancer. Tretinoin: A form of vitamin A. Tightens pores, creates evenness in skin, and promotes the production of collagen by stimulating the flow of blood. It can also decrease the appearance of wrinkles and fine lines. Some people may find this ingredient irritating or may experience dryness after using products that contain it. Skin may also be more sensitive to the sun after use. No directions are mentioned online for this product. However, the product is high in tretinoin, which means consumers should wear sunscreen if using during the day or should only use the product at night. Rich in antioxidants that fight damage caused by free radicals while diminishing unsightly fine lines and wrinkles. Offers a free 14-day trial that allows potential consumers to test the product before having to pay the full cost upfront. Skin Endear Anti-Aging Cream lists its key ingredients online. The manufacturer states that the product is made from natural ingredients. Tretinoin may irritate or dry some people’s skin, and often results in increased skin sensitivity. Customers who do not return the product during the allotted trial period are charged the full price of $89.95 and enrolled in an automatic refill program. A full list of ingredients and clear directions are not provided online. Data or studies that back the claims made about the product are not mentioned or cited. Containing high levels of antioxidants and tretinoin, Skin Endear Anti-Aging Cream states that it promotes the production of elastin and collagen. The cream’s manufacturer states that the product can fight wrinkles, fine lines, and other common signs of aging in order to promote a firmer complexion. However, data that explains how the skin is improved after using this product is not provided. In addition, only two ingredients are named, and the manufacturer does not clarify which antioxidants are present in the cream or what their amounts are. People with very sensitive or dry skin should also be aware that tretinoin may irritate, dry their skin, or increase sensitivity to sunlight. Customers who don’t return the product within 14 days are charged the full price of $89.95 and enrolled in an automatic enrollment program unless they opt out. Other creams provide similar anti-aging benefits with more favorable conditions. These options may appeal to customers.